Global fast-moving consumer goods (FMCG) company GlaxoSmithKline Consumer Healthcare on Wednesday announced its entry into the noodles segment, with a target to capture 10% of the estimated Rs1,000-crore organised noodles market within a year. "The Indian noodles market is estimated to be around Rs1,000 crore and has been growing at the rate of 25%. We believe that the overall entry of Horlicks will expand the category further," GSK Consumer Healthcare (GSKCH) India executive vice-president for marketing Subhajit Sen told PTI. The company has launched its noodles under the popular Horlicks brand named 'Foodles' that is expected to compete with market leader Maggi from Nestle. The company said that the new product will further extend its Rs1,500-crore 'Horlicks' brand and help in sustaining the double-digit growth that it has been registering. "In 2009, the Horlicks brand is around Rs1,500 crore. With 'Foodles', it will surely extend further. Though our aim right now is to establish and create awareness about the product (noodles), our target will be to have a market share of 6% to 10% in the next 6-12 months," he said. GSKCH said that it is currently focusing on south India. It plans to introduce the product in the national capital and other northern states in the next six months to one year. At present, industry estimates peg the Indian noodles market at around Rs1,000 crore with Nestle's Maggi accounting for about 80% of market share. Stock market regulator, the Securities and Exchange Board of India (SEBI), held a Board meeting on 2 February 2010 to take a final decision on the alleged failure of National Securities Depository Ltd (NSDL) in preventing the initial public offer (IPO) scam during 2003-2005. However, even after a full 24 hours later, there is no word from the regulator as to what has been decided in the Board meeting. There has been no press conference and neither is there a press release on what the board has decided. There have only been selective leaks to the media that the Board has exonerated NSDL. But there is no official communication as yet on an issue of utmost importance in proving the transparency and independence of the regulator. 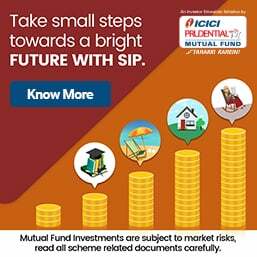 The IPO scam goes back to 2006 when SEBI investigations conducted by the then chairman M Damodaran, unearthed that shares reserved for retail investors were illegally acquired by various entities through tens of thousands of fake dematerialised (demat) accounts and fictitious applications. From the facts, it appeared that NSDL was liable for poor oversight that allowed fake demat accounts to be opened. NSDL’s then head CB Bhave denied any responsibility for the scam even though the banks that had opened the fake demat accounts were penalised by the Reserve Bank of India (RBI). A two-member bench was constituted to look into the scam after CB Bhave took over as SEBI chairman. The bench comprising G Mohan Gopal (director of National Judicial Academy) and former RBI deputy governor V Leeladhar passed an order against NSDL, directing it to carry out an independent enquiry to establish individual accountability for the failures of NSDL in the IPO scam. This was followed by a one-year effort to bury the orders of the two-member bench. Finally, under pressure from a public interest litigation (PIL) filed in the Andhra Pradesh High Court, the SEBI Board met and was forced to release the three orders of the Bench into the public domain. But the Board sought to kill the application of the orders by declaring that two of the orders as void or 'non est' since the Bench had gone beyond its brief in criticising the regulator itself. Dr Gopal had objected to this action taken by SEBI. His reservations were echoed by Justice JS Verma, former Chief Justice of India, who declared that such quasi-judicial orders can only be reviewed and quashed “by a judicial forum with requisite jurisdiction, at the instance of a petitioner with standing to seek relief.” Justice Verma is one of the most respected jurists whose opinions are not for sale. It is reliably learnt that Justice Verma’s opinion was formally put before the regulator’s board meeting on 22 December 2009, which was headed by Mohandas Pai. The SEBI board had also sought the legal opinion of C Achuthan, former presiding officer of the Securities and Appellate Tribunal (SAT), in relation to this matter. Dr Gopal had officially pointed out that Mr Achuthan’s position was conflicted because he had represented one of the IPO accused (Karvy) in a matter before the Andhra Pradesh High Court. Mr Achuthan is also a director on the NSE board, a SEBI-regulated entity. NSE is the promoter and major shareholder of NSDL. 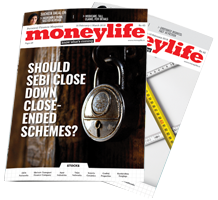 There has been evidence that SEBI officials have worked overtime to protect Mr Bhave from the controversy, by delaying the proceedings relating to this case. It remains a mystery that if SEBI has exonerated NSDL entirely and rejected the two-member bench's order, why should there be no official communication? Our new chairman of SEBI is a silent spectator (eyes half open) like Manmohan Singh, and has a zip on his mouth like late Narasimha Rao. He is busy with regulating and re- regulating to protect Investors from the clutches of Distributors !! Every Distributor appears to him as a BIG SCAMSTER and every Investor is investing only to launder his Black money. It reminds me the characters in "Three Musketeers" who were fighting with imaginary enemies ! God save SEBI from these quixotes ! All are in deep slumber !! Dubai-based developer ETA Star Property is set to launch the first phase of an integrated township project worth $250 million in India this year and is looking to tap the housing demand in the country, reports PTI. The real-estate arm of ETA Ascon Star will launch an integrated township project near Chennai this year as it looks to tap strong demand for property in the country, the company's executive director Abid Junaid said. The first phase of the project—one of three or four phases—is worth $250 million, he said. "When it comes to property development itself, we are looking at India more aggressively and we believe there is potential," he said. He, however, declined to give the total value for the project, which will take five years to complete. "There is demand for middle-income housing in India. There are plenty of home loans available and the interest rates are regulated by the government and the economy is growing," Mr Junaid said. The project will be funded by local banks and pre-selling of property, he said. The township will be in addition to similar smaller projects in Bengaluru coming up this year, he said, declining to give further details. ETA Star will hand over four projects in Dubai worth more than two billion UAE dirhams ($544.5 million) to customers this year, but will not launch new projects, Mr Junaid said. "Our focus is to deliver projects, which are under construction and have been launched earlier," he added.